Mexico City is the capital of Mexico, and the most populated city in North America. Famed for its altitude and its breathtaking location, it also has a 15-square-kilometer UNESCO World Heritage Site containing more than 1,400 important buildings from the 16th to 19th centuries. Mexico City is one of the most important economic centres in Latin America. 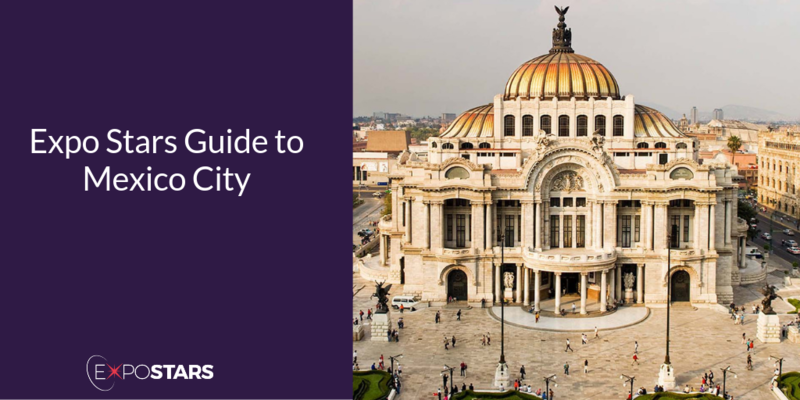 Mexico City is not just home to the headquarters of the country's largest banks and insurers, its main industries are related to construction and the production of iron and steel, textiles and yarn, plastics, furniture and cement. Getting into Mexico City from the airport is quickest and safest if you take the metro. Whilst the metro is not connected to the airport, the closest station it is just a short walk away. Or you can take a taxi and be downtown in 20 minutes. There are no unusual restrictions on what you can bring into Mexico: a general rule of thumb is: don't bring anything that looks as if it's meant to be resold in Mexico, without obtaining the relevant permissions. Head to the 15-square-kilometer UNESCO World Heritage Site and check out the 1,400+ important buildings from the 16th to 19th centuries. It contains some of Mexico’s finest examples of Aztec culture. Best of all, it can all be enjoyed on foot. The beating heart of Mexico City is Zócalo - the Plaza de la Constitución (Constitution Square) - where the country's first constitution was proclaimed in 1813. The vast majority of Aztec relics and artifacts are housed in two museums: the Museum of the Templo Mayor and the National Museum of Anthropology, widely regarded as the most important museum in Mexico. Quintonil. Representing a new style of Mexican cooking, the kitchen showcases ingredients indigenous to Mexico: corn, beans, squash, chiles, and mushrooms. Máximo Bistrot is a farm-to-table restaurant. The food is simple bistro-style: crisp-skinned trout with clams, peas, and wild spinach, or a velvety chicken liver to spread on toast with sweet cherries. Local currency is Mexican peso. You may need to apply for a visa if you’re not on this list. Most places use the 2 flat parallel pin plug socket. There is an expectation that oral agreements are to be honored just as if they were written. Mexicans are relaxed regarding time keeping. Mexicans give importance to professional titles. Always address other people by their title (“Licenciada,” “Ingeniero.” “Doctora”), followed by their last name.